A tough loss to Atletico has opened the floodgates of criticism by fans, the Curva, and especially anyone and everyone in the media. As if Milan weren’t struggling enough, it seems like everyone is ready to kick us while we’re down. Thanks so much to Derwuin for recording this not once, but twice! Please follow him on Twitter @D_Mendez3 and check out his awesome comments on the blog. You’re Welcome. Last season Milan took Fiorentina’s third place spot with a lot of luck or a gift from the ref, depending how you see it. Now Fiorentina sit in fourth, aiming for third again, and Milan are sitting in the way. Milan have one point in the last four league games, so this midweek tie is looking a bit predictable. Let's hope the ref isn't the one who predicts it again. Fiorentina have lost Mario Gomez to injury again, but they’ve got Milan’s kryptonite, Matri, who is bound to score against the club that owns him. 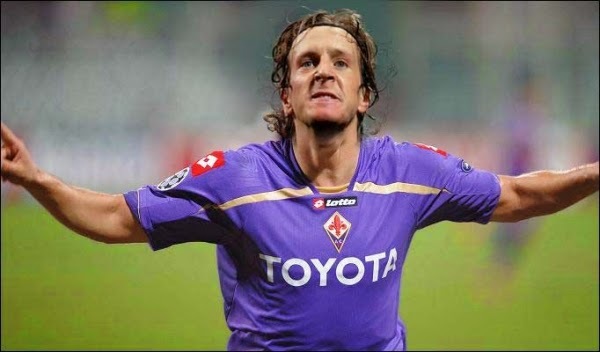 Despite also having former Milan midfielder Aquilani, it will be Ambrosini that will be heartbreaking to see facing off against us. Frenemies. Seedorf lost De Sciglio to an ankle injury at Lazio, so we will be missing him, but we will have Abbiati back after his one game suspension. However Poli will sit this one due to yellow card accumulation, and there are the other injuries to contend with, including captain Montolivo. The team are in Roma for a ritiro between the Lazio and Fiorentina games to save travel time, so let’s hope the capital city brings them a little more luck.